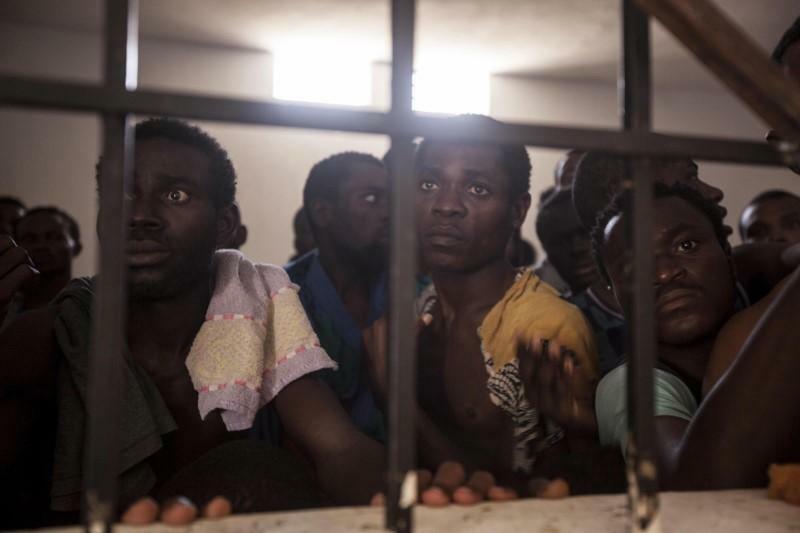 There are men and women who proclaim righteous indignation, and even repugnance at the story coming out of Libya - of blacks being held against their wish, and then bargained and sold like mere goats in a village market. They tweet their anger and even contribute their own voice to the hashtags on twitter and instagram. the notion that "all men are created equal" can systematically oppress it coloured people. They curse the cruelty inherent in a mind that can, not only think about denying another of his/her right, but also the motivation to put it into action and bargain the dignity of a fellow human for greed. They proclaim their stance for values that enriches and enhances the soul, and outwardly reach for a beacon to beam the light on the liberty of all and asunder. Slavery is not just when a person is handcuffed and sold at an auction - slavery is more psychological and economical. It is when, as it is in most cases in Nigeria, you isolate someone, abuse them psychologically, use them as you please and then not pay them what is commiserate with the work they've done. Infact, in some cases, you pay a patron somewhere instead of the person who suffered the brunt of the whole ordeal. Slavery, without mincing words, is in a lot of our homes. And many of us are hypocrites. Upwardly mobile, our generation's increased income also means many of us now can afford a help - it's actually not even expensive, but our learned mind seems to have forgotten they are also human, with hopes and dreams; with a future. Many are denied education - good education. The best way to freedom is an agile mind, and a mis-educated mind misses the whole essence of the word, which, taken in tandem with the fact that these young children, many of whom are girls, are also isolated from their own family, almost makes their cases hopeless, and puts them, unfortunately, at the mercies of their masters. We all want to end slavery that is a million miles away, and deservedly so, and are not shy to say so. We tweet about it, while threatening our help who is of school age but isn't going to school, and is tired, having been up since 5 a.m. to take care of our every need. An house help, who isn't of legal age, brought to Lagos to work in an household, without education, even with the blessing of a patron or parent, is slavery. That house is her Libya, and your toilet and kitchen where she spends most of her time, is her plantation. If she has to wake up earlier than your children, to do things that are too much for one person to handle, is threatened at every whim, isn't allowed the levity you accord your own children, and can't even eat when you do, then you are a slave master. You have bargained her dignity and future for your own well-being and convenience. So, when you take to twitter with our religious righteousness, let us understand that slavery doesn't work in isolation and until we solve the one that stares us in the eyes, we are only hypocrite crying to show off.